Tickets are now on sale for the 2018 Australian Boat Race to be held on Sydney Harbour on Sunday morning 14th October. Spectators can take in the big screen and see the race from the start at Woolwich into Darling Harbour on the Big Screen located outside the Sydney ICC (Convention Centre) just next to Harbourside Shopping Centre on the western side of Darling Harbour. The best up-close views will be on the race ferry (picks ups at Woolwich and Darling Harbour) which will follow both the men’s and women’s eights races over the 4.2 km course. SUBC Men’s Eight, WITH FOUR NOVICES, Claim Silver in Nanchang and Yangzhou China. Sydney University Boat Club Men’s eight competed in the 2018 International Universities Rowing Regatta, coming away with three silver medals over the three race format of the regatta. The unique and most pleasing aspect of this tour was that four of the SUBC eight were novices to the sport, having only been in a boat for three months, with this marking their first competitive regatta. The SUBC crew was made up of a mixture of youth and experience, so as to fast track the skills of the new members of the crew. The crew was stroked by experienced rowers and ex national team reps Sasha Belonogoff (Rio Olympic Silver Medallist) and Ben Morley (U23 World Championship Bronze Medallist), with the middle four being novices to the sport after transitioning from Surf Boats, Kris Martyn, Richard Ledger, Nic Lesiuk and Brady Holland. The bow pair were first year students having come out the 2017 St Ignatius College, Riverview first VIII, returning to still water after a season in surf boats. The regatta format was made up of a heat and final over 1km, followed directly by a 6km time trial in Nanchang, the regatta then moved cities to Yangzhou where rowers competed in a 6km race, followed by an informal dragon boat race. The 1km racing saw SUBC win their heat by clear water, progressing directly to the a-final. This race marked the first race for the middle four of the crew on a buoyed course as part of a regatta, so was pleasing to see them taste success. Following the form in the heat, the crew came up against strong competition, with the University of British Columbia (Canada) proving too strong for the young SUBC crew. Sydney Uni finished in second only a length down on UBC, well clear of the rest of the competitors, with crews from Boston College, Harvard, Tokyo, Oxford and Cambridge being represented in the race. With only an hour’s gap between the racing and time trial, SUBC rallied and again produced an impressive performance given the lack of experience in the crew to claim another silver behind UBC. A clear determination from the crew in the early stages set them up well for the long distance race, starting in 10thposition the crew charged through the field pushing past a number of high profile universities to claim the second fastest time. With the 1km’s and 6km under their belt, the focus moved to the gala dinner to conclude proceedings in Nanchang. With each crew represented required to present a cultural performance the SUBC crew decided to give the locals a taste of our signing talents. With Sasha on guitar the crew belted out a memorable rendition of Waltzing Matilda, much to the pleasure of the crowd. The following day saw all crews pack up and take the bullet train across China to Yangzhou, were the final 6km was to be completed. Yangzhou is host to the newest facility in a number of training centres set up as part of the Deep Dive Rowing Club. The facilities here were world class with a newly built seven bay boat house, along with a buoyed 2km course, 8 story finish tower, along with a gym and large meeting and rest rooms above the shed. With this being one of the top facilities in the world, what was also impressive was the new housing they had built forming a small gated community for the athletes to train and live in. Prior to racing in Yangzhou, a large forum was held, with each university presenting a short summary of the university and rowing program they are part of, along with a well-informed Q and A, where athletes discussed what rowing meant to them, and what benefits rowing has had on their lives outside of the boat. The racing in Yangzhou saw the start order based off the previous regatta with SUBC starting in second behind UBC, the crew took a slightly different approach to racing looking for more length and sustainable speed, especially given the 39-degree heat and extremely high humidity. The crew performed well with the margins being similar to those in Nanchang. An interesting aspect of this race was the inclusion of the Chinese crews over the last 2km, as each international university came through the 2km to go mark, a local Chinese crew would start, and attempt to hold onto the internationals over the closing stages of such a long event. The SUBC crew took this on well, and charged past all local entries. Post 6km saw composites form to race over a few hundred metre in dragon boats, to end the formalities with a bit of a fun challenge. Whilst on tour along with the important aspects of the racing and the cultural rowing forum, many other activities were thrown into a jam packed week, including a trip to the Bund in Shanghai, a historic temple in Nanchang and an opera performance in Yangzhou, along with many more cultural experiences. Overall the rip was a great success, the university was represented with pride, the crew performed well and learnt a great deal from the racing, and the ties the club has with the Chinese regatta organisers, crews and international competitors has been yet again strengthened. Sydney Uni Boat Club international representatives in U23, U21 and Junior Teams in 2018 plus our senior women rowers attending Henley. 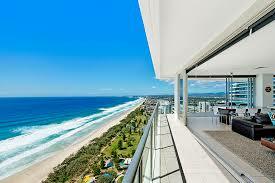 A week on one of the premier holiday apartments on the Gold Coast. This Level 28, 3 bedroom, 3 bathroom Sky Villa covers two floors with sweeping views to the north and east. Rising spectacularly above Broadbeach, ULTIQA Air on Broadbeach 159 Old Burleigh Road Broadbeach is truly in the heart of everything. Located just 25 minutes from the Gold Coast Airport and less than 90 minutes from Brisbane Domestic and International Airports, accessing luxury beachfront Broadbeach accommodation has never been easier. Lovely 300 year old house on the Croatian Island of Korcula. Korcula (the main own) is a beautiful medieval walled city, and the house is across the road from the local swimming area. The house has four levels with two double bedrooms and a garret with four single beds. Available for 7 days subject to availability. 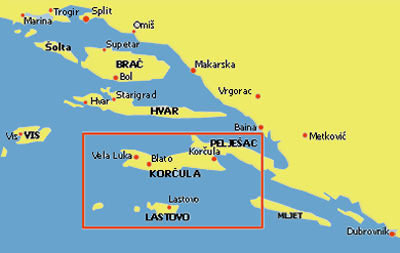 See http://www.visitkorcula.eu for more information about the island and how to get there. 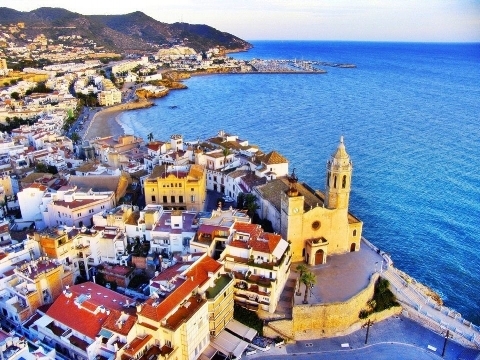 The apartment is located 100 meters from the Mediterranean Sea, in the coastal town of Sitges. It is a 45-minute train ride to the Barcelona city centre and a 20-min bus ride from the Barcelona International Airport. 3 bedrooms, 2 bathrooms. Space for 5 adults comfortably. On Offer – a one week stay in this Whistler ski in/ski out, 2-bedroom, 2 bathrooms, fully renovated apartment, that can accommodate up to 6 guests. This apartment has a fully equipped kitchen with stainless steel appliances, gas fireplace, modern furnishings, bed linens and complimentary concierge and mid stay service. Free wireless internet access is available and secure parking if required is also available on site. At the end of a great ski day, enjoy the common outdoor heated pool and two outdoor hot tubs. All can be yours during your chosen week. Located in Whistler’s Upper Village right next to the prestigious Fairmont Chateau Whistler, The Glacier Lodge is a beautiful three-story Boutique Hotel, conveniently located just steps from Blackcomb Mountain’s (NEW for 2018/19 season!) 10-person gondola that will run from the base all the way to the top of Blackcomb Mountain. With Whistler’s finest restaurants, art galleries, and shops at your doorstep, you’ll certainly make the most of your time spent in the resort town. This Premier location will allow you to enjoy the convenience of all the resort attractions by foot. 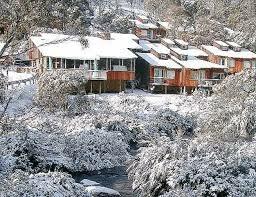 If Skiing and winter is not your thing, come and stay in the summer months of June thru September. Whistler boasts some of North Americas best Golf courses and the best mountain biking/bike park in the world. Whistler is an outdoor adventure paradise. Some of the other popular summer activities including the PEAK 2 PEAK Gondola, golf, ziplining, fly fishing and hiking. A Saturday OR Sunday morning you take to the water under the guidance of some of SUBC’s most experienced Learn to Row Coaches and rowers. Session time will be two hours. Room for up to 4 people rowing in a crew with some experienced SUBC rowers to show you the way. Before and after the session the SUBC team will take you through a warm up on the ergometers showing you the technical points they want you to bring – as much as possible – to the water session. Located on the banks of Wallis Lake where it meets the Pacific Ocean on the Mid-North Coast, Forster is a family-friendly coastal town 3 hours north of Sydney, with freeway driving the whole way. With fishing, boating and swimming on/in the lake, and surfing, beach fishing and ocean cruises outside the heads what more could you ask for your family holiday getaway? ‘Forster Lakeside’ has been holiday let since 2006 and welcomes many return holidaymakers who have enjoyed their stay so much that they return time and again. A four-bedroom house that sleeps up to ten persons (max. 8 adults per booking), has its own private pool in the sunny north-facing backyard, a separate spa room (spa is emptied/refilled after each booking) to while away your everyday stresses and a cupboard full of toys to keep the kids occupied what more could you want? This house is in a quiet cul-de-sac in Forster Keys. No steps make it ideal for all generations to holiday together and we welcome many extended families who enjoy the space in the house. (I tell a lie…there is one step into one of the bedrooms…) There is a kitchen with all your cooking needs, dining room, large loungeroom and two sunrooms – one of which is for Fido. Sydney University Boat Club start the years international racing with success in Shangyu, China. The club sent a crew with a mixture of recent alumni and current students to compete in the World Famous Universities Rowing Regatta in Shangyu, China. The regatta was held from the 22th-25th of May, including training, racing and cultural experiences for all crews. The journey to Shangyu was far from smooth, with all flight delayed, and one flight cancelled mid-flight due to a storm preventing landing in Hangzhou. With the SUBC crew arriving a day later than planned into Shangyu, this resulted in missing the crucial training sessions required to set the boat up. The crew managed to get a very short paddle in prior to racing, and identified a few things that needed to be tweaked on the boat. Race day consisted of an opening ceremony attended by many delegates, including Five Time Olympic Champion Steve Redgrave, followed by three rounds of racing. Each round of racing saw four boats across, with a heat, semi and final. SUBC showed great form early in all races, claiming comfortable wins in both the heat and semi, over quality crews from Shanghai, Otago and Princeton. Through the early rounds of racing the crew shut down both races at the half way mark, paddling home for the victories, this kept the power dry, with none of the competition really knowing what to expect from us in the final. In the final the crew had the slowest first half we’d had all day, however this saw the field dead level with three crews across fighting for the win, with Princeton well off the pace. As the leading three crews Shanghai, Yale and SUBC came into the final 250m the crews were still locked level, even in unison as the bows surged to the line. Within this final sprint Shanghai and SUBC moved a few seats ahead of Yale, and were in a close dual of who could jack the rate the most and sprint to the line. The final result saw SUBC surge to victory by a canvas over Shanghai, with Yale a further canvas back. This result was particularly pleasing for the Sydney University crew, as many of these athletes who are now alumni haven’t rowed in close to five years, and for the most part are stuck behind a desk in corporate life. The passion and commitment to the race, and the support each athlete gave each other to get over the line in front is exactly how it was when these athletes stepped back from the sport. This commitment to the full crew buying in to one idea, one focus and one common goal is what eights racing is all about, and it was so pleasing to see that even after time out of the boat, the passion to race for your mates and the club is still alive and well within this crew. Post racing the crews were swept back to the hotel to change and go to a forum with the local high school, this forum consisted on school students and universities presenting about what rowing means to them, and the benefits that being part of rowing have added to their life outside of the boat. The crews then went onto a gala dinner, where all universities cam e together to celebrate what was a great day of racing for all involved. The following day saw a number of cultural excursions, with the first being to the site of the future Electronics Games Town in Shangyu, where they have a two-year plan to become the electronic gaming hub of China, on a grand scale. The next stop was to an ancient garden, where it is said that the ‘Chinese Romeo and Juliet’ took place, this was followed by a tour of the house and town where the poet who told this love story had lived. With all formalities over, and one night left in China, the crew decided to head into Shanghai, as our flights were departing from there the following day. The crew had a great night in Shanghai, checking out the famous Bund, where you can view some of the tallest towers in China, along with a vibrant business district. The final morning in, saw athletes go exploring, many went in search of ancient temples, and others went in search of a bargain at the markets. The tour was a great success for all involved, and was great to see a number of alumni reengaged with SUBC. The club would like to thanks all involved in organising these regattas, primarily the Chinese Rowing Association and the local Government of Shangyu for hosting such a fun and culturally filled event. Check out the Video of the Final broadcast on China's CCTV - with Sydney Uni winning narrowly. Sydney University Boat Club is pleased to announce the appointment of Chris Holliday as our new Development Coach and Program Manager, and will commence work at SUBC on 2nd July. Over the last six years Chris has been Head Coach at St Andrew’s School in Grahamstown, South Africa. 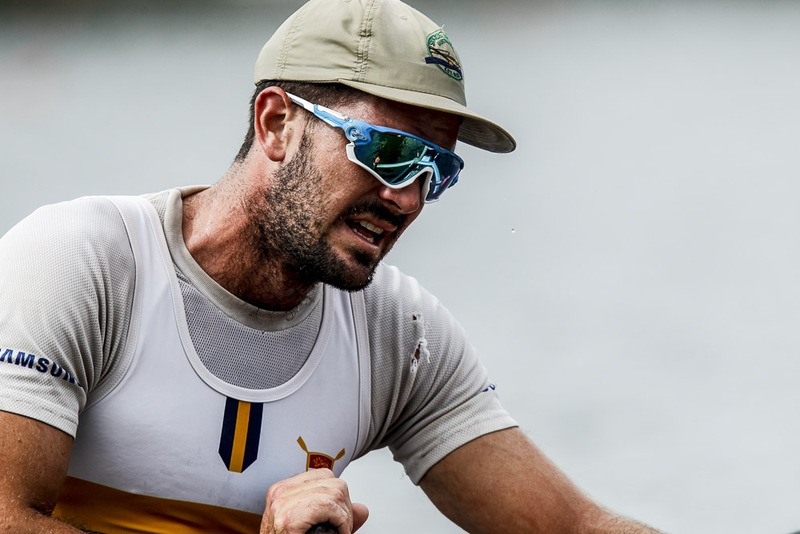 Chris has succeeded in raising the profile and success of St Andrew’s Rowing significantly during his time as Head Coach with St Andrew’s becoming one of the top schoolboy rowing programs in South Africa. At the same time Chris has been involved as Head Coach, managing and coaching at the nearby Rhodes University Rowing Club where he revived the club’s fortunes. Chris has coached on Junior and U23 South African Teams over recent years. He was awarded South African Rowing Coach of the Year in 2017 and Rhodes University Coach of the Year in 2016/2016 and 2017. Prior to moving back to South Africa Chris had been Senior Coach at Loreto Kirribilli where he coached their VIII to win in the Australian Schoolgirl Eights in 2010, and was also involved with Sydney University Women’s Rowing Club. At Sydney University Boat Club, Chris will lead the administration of the program and will coach the men’s youth development squad under the guidance of Head Coach Don McLachlan. SUBC congratulates Chris on his appointment, and look forward to his return to the club. 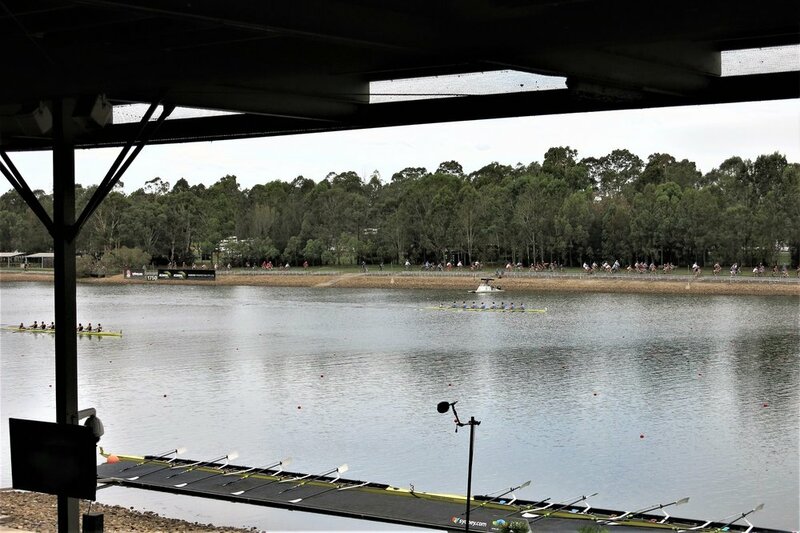 The women’s masters squad returned from the Australian Masters Rowing Championships at Lake Barrington in Tasmania last weekend well laden with medals. The five rowers plus our cox got through to 13 finals over the four days of competition, winning 5 1sts, 1 2nd and 3 3rds. 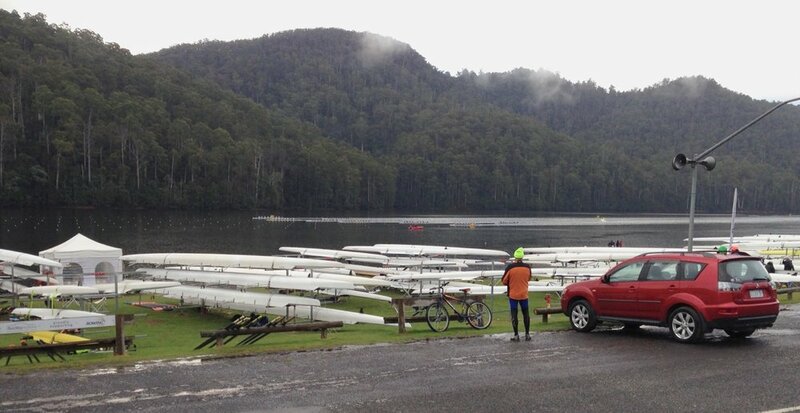 Central Tasmania offered most of its weather options during the event – cool temperatures, showers, winds so strong that boats could not be held at the start pontoons, heavily frosted launch pontoons, and …. crisp clear calm sunny days. Back in Sydney, the squad is now preparing for NSW Masters Championships at SIRC on 26-27 May, and beyond, with various squad members also training for Henley Masters at Henley-on-Thames in July and the Head of the Charles in Boston in November. The 2018 4 Nations Fundraiser to raise fund towards seat fees for nationally selected athletes in 2018 will start at 6.30 pm on Friday 15th June. 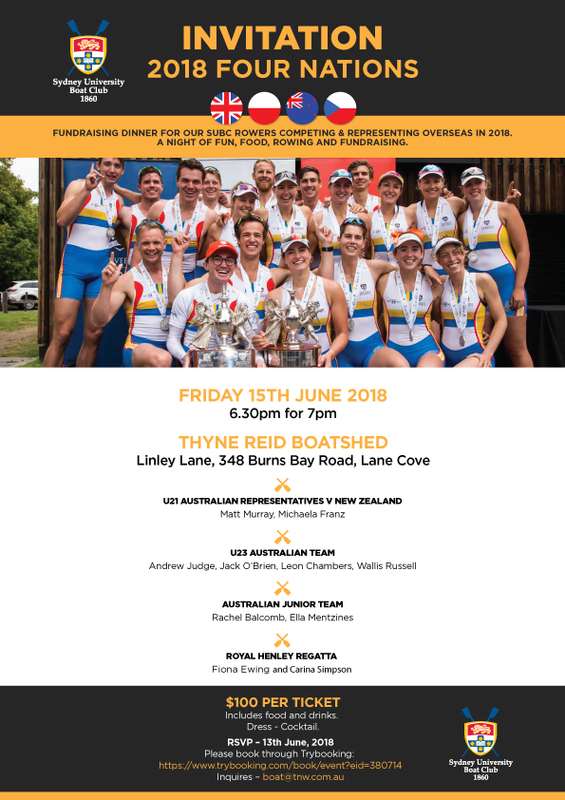 Members , parents and alumni please come along and support the club, athlets and parents'efforts to raise some of the $50,000 needed to support our athletes on tour. Tickets $100 through Trybooking.com available now..
2. If you can't come - make a tax deductible donation to the University of Sydney Sports Foundation. Email boat@tnw.com.au for a donation form. 3. Round up a group of friends and come along for a fun night of rowing socializing !! The club’s women’s masters' squad are currently deep in preparations for the Australian Masters Championships, which this year are at Lake Barrington, in Tasmania, 10-13 May. Last time the AMC was at Lake Barrington, in 2011, the sleet began on the last racing day but the snow held off until we were loading the trailers to go home. The squad is hoping the weather will be even kinder this time so we can really enjoy this beautiful if remote, venue. The six athletes attending the Championships this year are training 4-8 on-water sessions per week, plus 2-4 off-water sessions, in preparation for racing in 2-s, 2xs, 4-s, 4xs, and 8+s (composites with others clubs). As a warm-up, the squad has taken advantage of the specialist masters regattas on Iron Cove – last week at the Drummoyne Masters Regatta we took out one 1st, one 2nd, two 3rds and a 4th. The Tassie Team 2018 is pictured with their coach Phil Titterton. 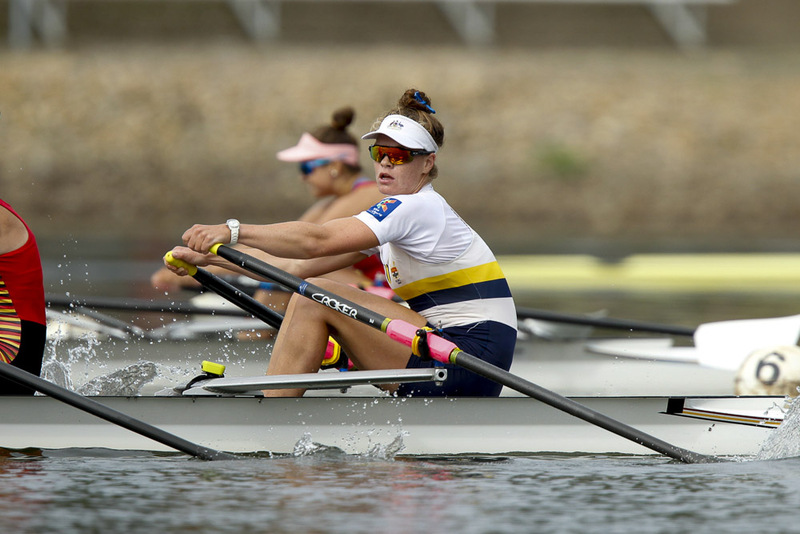 Rowing Australia today announced the Junior and Under 23 teams set to compete at their respective World Rowing Championships this year, as well as the Under 21 team set to race in the 2018 Trans-Tasman Regatta against New Zealand. Australia will be represented by seven crews at the 2018 World Rowing Junior Championships set to be held from 8 to 12 August in Racice, Czech Republic. Seven crews will also be competing for Australia at the 2018 World Rowing Under 23 Championships due to be held in Poznan, Poland from 25 to 29 July. The U21 Australian Rowing Team will compete in Sydney from 28 to 30 June and then again on Lake Karapiro in New Zealand, from 23 to 25 August. The team will be looking to retain the Rusty Robertson Trophy in the annual Trans-Tasman Regatta. The U21 series is a positive development opportunity for Australia’s Pathway athletes transitioning between the Junior (U19) and Under 23 categories. Near the top of the selection performances in the U23 category were The SUBC pair of Judge and O'Brien and the U23 Lightweight Double of SUBC's Leon Chambers and UTS's Matt Curtin. The battle between SUBC and Sydney Rowing Club for the most successful club at the 2018 National Rowing Championships went down to the wire with the last day’s events separating the two clubs by 4.5 points. Mercantile of Victoria was third, Toowong of Brisbane fourth and UTS Rowing Club was firth. In all Sydney University Boat Club won 10.25 Golds, 8.25 Silver, and 7.5 Bronze – edging Sydney by a quarter of a gold and a quarter of a bronze medal. Wallis Russell (Boat) and Belinda Snell (Sydney Uni Flames) shared the 2017 Female Sportswomen of the Year award, while Anthony Hrysanthos (Water Polo) was named Sportsman of the Year at a packed annual presentation dinner in the Great Hall last night. In a year of outstanding performances, Russell and Snell were up against Clare Hunt (Soccer), Michelle Jenneke (Athletics) and Holly Crawford (Snow Sport). Belinda is the captain of the Brydens Sydney Uni Flames and long-term Australian women’s basketball star. She is also currently competing with the Australian Opals Squad at the Gold Coast Commonwealth Games. Snell has represented the Opals at three Olympics Games and two Commonwealth Games and at World Championships and was named the University of Sydney Female Blue of the Year for 2017, as Captain of the Flames 2016-17 Championship winning side. Wallis is a talented rower who, despite still being classified as a Junior (Under 19) in 2017, competed in Under 23 and Open aged events with great success. At the 2017 NSW State Championships, Wallis won four gold medals in the Under-23 Lightweight Women’s Single Scull, Under-23 Lightweight Women’s Double Scull, Open Women’s Eight, and Open Lightweight Quadruple Scull. 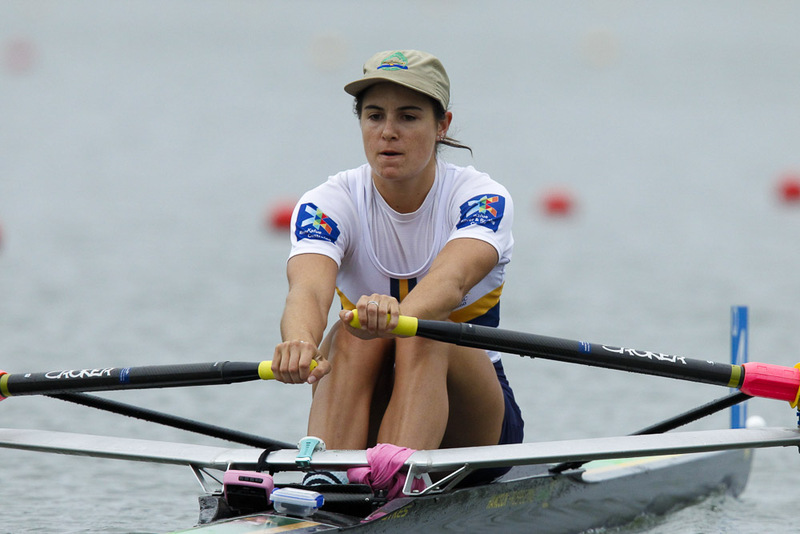 Wallis was a member of the winning Women’s Eight from SUBC at the prestigious Gold Cup regatta. She also stroked the winning Sydney University Women’s crew in the Australian Boat Race, winning the Bella Guerin trophy for the first time. 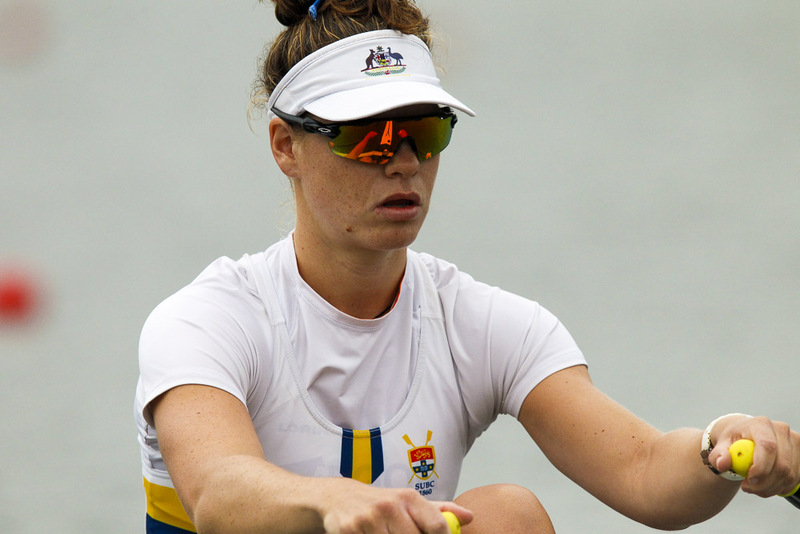 Wallis was also selected onto the 2017 Australian Rowing team in the Under-23 Lightweight Women’s Quadruple Scull, who placed 6th at the World Championships. The Professional Administrator of the Year Award went to Dustyn Butler (Boat Club) in a field that included Dale Bryant (Cricket Club), Jack Prato (Australian National Football Club), Stephanie Glanville-Fyfe (Soccer Football Club) and Kirsty Stevens (Football Club). The Ann Mitchell Award for the Most Outstanding Performance at the Australian University Games or Australian University Championships went to the Boat Club after the club dominated 2017 AUG Rowing. Other nominations were Athletics (Women) and Soccer (Women). Sydney University Boat Club was the only sport to win both the Men’s and Women’s 2018 AUG titles. The team won gold medals in several events, including women’s lightweight single scull, women’s lightweight quad scull, women’s coxed four, mixed eight, mixed four, men’s pair, men’s coxed four and men’s Eight (Oxford and Cambridge Cup). The Premier Club of the Year was shared by the Boat Club and Sydney Uni Flames in a hot field that included the Women’s Water Polo Club, the Athletics Club and the Cricket Club. SUBC celebrated its most successful year on record. Notable results included the women winning the Bella Guerin trophy in the Australian Boat Race for the first time and claiming Men’s, Women’s and Overall point scores at the Australian University Games. SUBC also topped the pointscore at the 2017 NSW State Rowing Championships and Jack Hargreaves claimed gold at the 2017 World Championships, the first time Australia has won this event since the Oarsome Foursome 26 years ago. SUBC provided 12 athletes on the Australian Rowing team, including Open and Under 23s, in 2017. 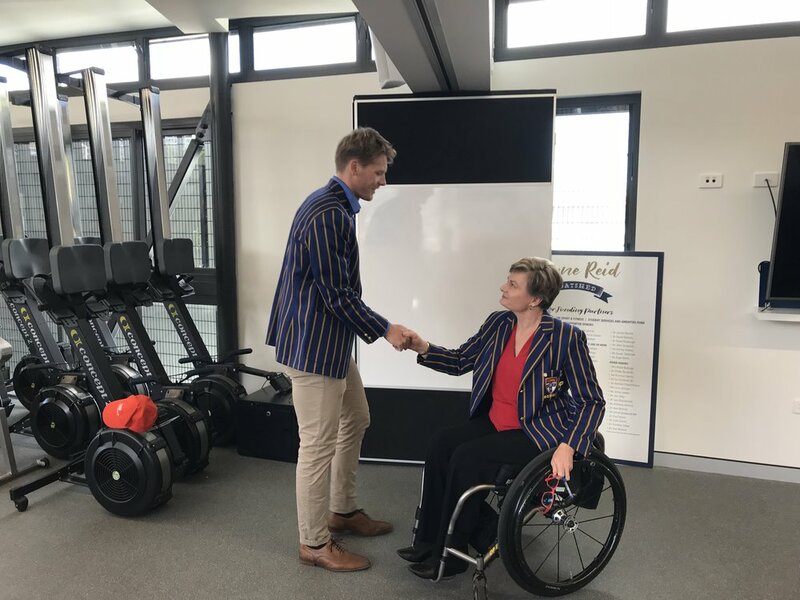 The club also opened their new SUBC Thyne Reid Boathouse at Linley Point and established an SUSF Rowing scholarship, named the Jane Spring Scholarship. 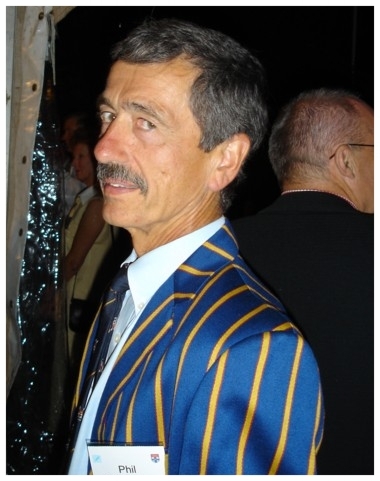 And club treasurer John Boultbee was awarded the prestigious World Rowing Distinguished Service Award to Rowing. The Premier Coach of the Year award was shared by Alfie Young (Boat Club) and Cheryl Chambers (Flames) in a field that included Robert Taylor (Men’s Rugby) and Tom Morrison. This recognition for Alfie Young followed his naming as Rowing Australia’s Development Coach of the Year in 2017. Sydney University Boat Club Named 2018 Club Champions. SUBC has been confirmed as the winner of the 2018 Australian Championships heading the point score table with 272 points - just edging out Sydney Rowing Club on 267.5 with Mercantile Rowing Club of Melbourne third on 157.75. At the conclusion of the 2018 Aon Sydney International Rowing Regatta, a review of the Champion Club Points Score table was completed and it was noted that a calculation error had been made. Rowing Australia wish to confirm that Sydney University Boat Club (SUBC) are in fact the winners of the 2018 Champion Club Points Score, and not Sydney Rowing Club, as was originally communicated. We sincerely apologise to the members of Sydney Rowing Club for the calculation error. We would like to heartily congratulate SUBC on being named the 2018 Champions of the Club Points Score and thank them for their understanding over the matter. The Boat Club congratulates all major clubs who contributed to making the 2018 Sydney International Regatta a great success. A team of fifty nine SUBC rowers and five coaches helped lead New South Wales clubs and our Interstate Team to some dominant performances at the 2018 Sydney International Regatta. At the conclusion of the regatta the Boat Club narrowly led Sydney Rowing Club in the medals table by just one quarter of gold and one quarter of a bronze medal. Toowong of Brisbane and Mercantile of Melbourne were third and fourth. Some of the outstanding gold medal results came in the U23 pair of Andrew Judge and Jack O’Brien who then teamed with the gold medal U21 pair of Marcus Britt and Will O’Shannessy to win the U23 four and then with a number of our scullers to win the U23 men’s eight. Our U23 women’s pair of Dyone Bettega and Lauren Fornasaro won gold in the U23 four with rowers from WA Rowing club, having earlier won silver in the U23 pair. Our scullers also got amongst gold with Wallis Russell winning the U23 women’s lightweight single in a tight race and then picking up further golds in the U23 lightweight double and quad. 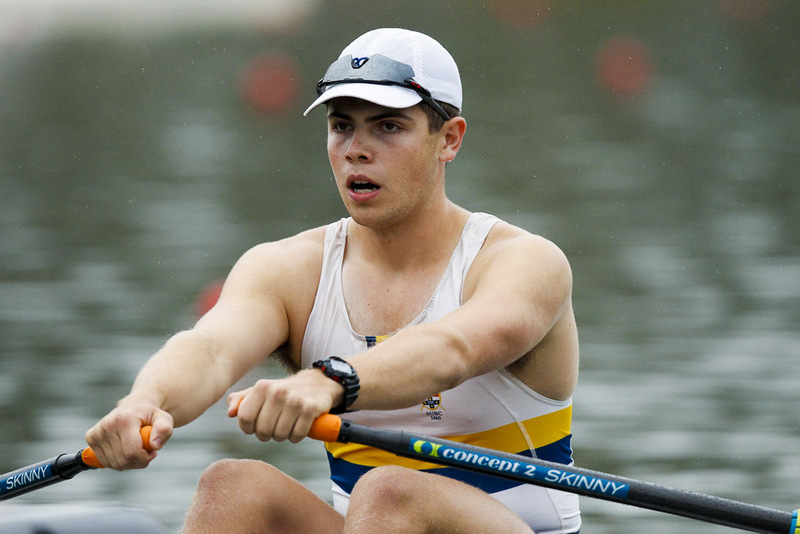 Leon Chambers also won two golds in lightweight sculling – first in the single, then in the double with UTS’s Matt Curtin. Among our NTC athletes Georgia Miansarow won two golds – in the open women’s lightweight quad and the open heavyweight quad. One of the most exciting races in the regatta was Fiona Ewing of SUBC and Olympia Aldersley of Adelaide Rowing Club holding off the much bigger crew of Goodman and Edmunds to get to the line first by a tiny margin only to be relegated after their boat came in 100 gms underweight – a heartbreaking and expensive lesson. Rio Olympic silver medalist Sasha Belonogoff picked up gold in the men’s open quad on his first return to nationals since 2016. Kieran Riach also claimed gold in the U19 quad scull, the composite crew found form late in the race, holding off a strong charge from the Mosman crew. Athletes taking silver medals also put in some outstanding performances. 2017 World Champion in the men’s four, Jack Hargreaves had a great exhibition of sculling to finish second in the men’s heavyweight scull. In the women’s event, Gen Horton took silver behind Maddie Edmunds while in the open men’s double Campbell Watts teamed up with Hamish Playfair to take silver. Other silver medals were won in an excellent row by the opne men's pair of “brotherly love” Alex and Nick Purnell. The U23 pair of Bettega and Fornasaro picked up a silver in a composite women’s eight and another silver in the full SUBC U23 women’s eight of Jaime Ford, Jess Robinson, Amelia Johnson, Raquel Cuevas, Lauren Fornasaro, Ella Mentzines, Rachel Balcomb, Dyone Bettega, Cox: Talia Barnet-Hepples. 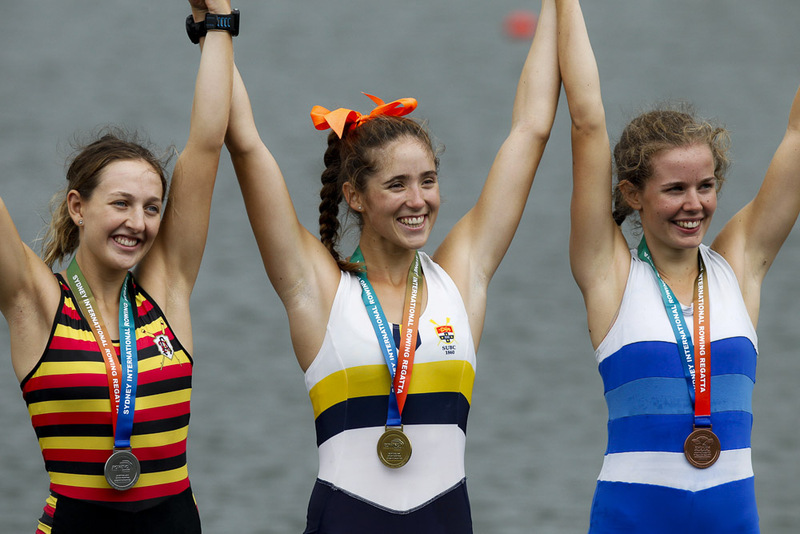 More silver medals came from Rachel Balcomb and Ella Mentzines in the U19 women’s four, Matthew Murray in the U21 single and from Jaime Ford and Raquel Cuevas in the U21 women’s pair. Bronze medalists were Rowena Meredith in the open women’s single, Georgia Gotch in the open women’s pair. Alex and Nick Purnell grabbed bronze in the open men’s double. Other bronze medal winners were Georgia Miansarow, Leon Chambers, Lizzie Treloar, Michaela Franz (2), Sarah Parsons, Jaime Ford, Raquel Cuevas, Amelia Johnson, Jess Robinson, Cox: Talia Barnet-Hepples and Kieran Riach. Having secured a narrow in the medals table Sydney Uni rowers and coaches then set about contributing to the strong New South Wales performance in the Interstate Regatta. About half the athletes in the NSW team were from SUBC. Georgia Miansarow grabbed gold for NSW in the state’s first win in the women’s lightweight quad and then Leon Chambers was part of the NSW men’s lightweight four that demolished the field winning gold by over 12 seconds. 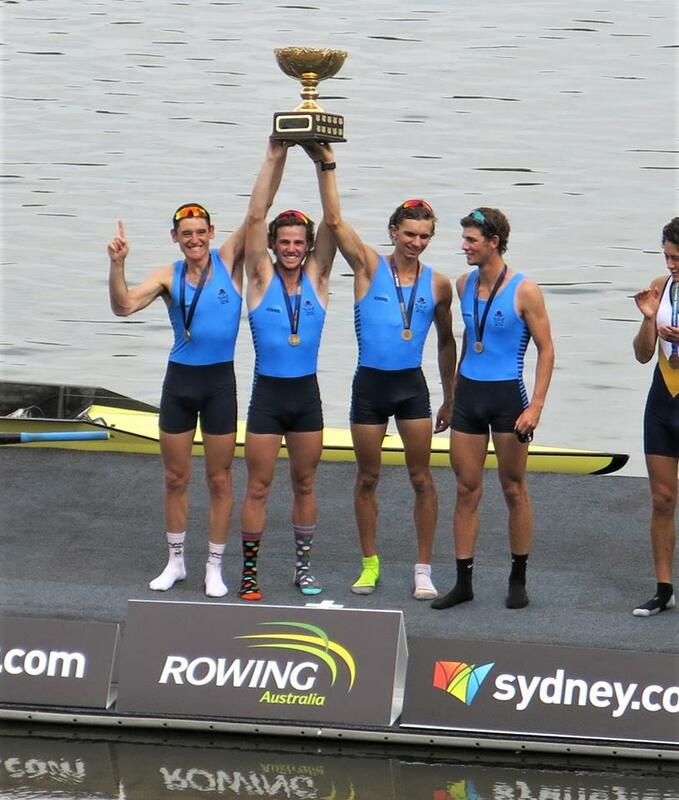 This was the first NSW win in the Penrith Cup since 1998 when three SUBC rowers (Wiseman, Hedley and Major and Coach HP Madritsch) were in the winning crew. 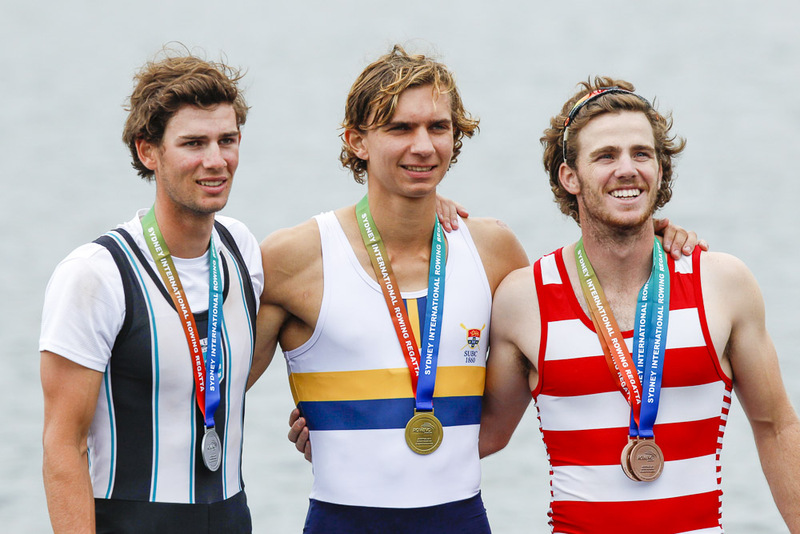 Cam Girdlestone grabbed a bronze in a tightly fought President’s Cup Sculls behind Alex Hill and Dave Watts. The men’s Youth Eight streeted the field to record News South Wales‘s another win in this event. Six SUBC athletes were in this crew. In the open eights New South Wales finished with silver in the women’s eight while the men’s King’s Cup crew pulled away from Victoria in the second 500 ( after suffering and earlier crab on stroke side) to win their second King’s Cup in a row and the ninth win in eleven years. SUBC Coaches Don McLachlan, Dustyn Butler, Alfie Young and Debbie Fox were important contributors to our state’s success. New South Wales finally won the Interstate Regatta Rowing Australia Cup for the second successive year with 61 points – ten points clear of Victoria. For the last 8 years, former SUBC and national cox Joe Donnelly has been coaching and assisting the Vietnamese Rowing Team in his own time and with the support of a number of benefactors including other SUBC alumni , Steve Newnham and Phil Walker. Here is Joe's report on the recent stay in Australia of the Vietnamese Rowing Team and their competition at the Sydney International Regatta. This year SUBC lent the team a boat - Joe's note of thanks is also below. "Just a short note to thank you all for the loan of the W4- for the 5 weeks my team was in Australia. Your support like many others has enabled the Vietnamese team to come to Australia to prepare for the Asian games in August ." The Vietnam rowing team has now returned to Vietnam after an improved and successful 5-week visit to Australia. The 5 weeks included a 4-week training camp in Orange supported by Charles Sturt University, Kinross Wolaroi School, Hertz bus rental, Sharyn and Jamie Gordon and Beth and Greg Michell. Boats were also provided by Sydney University and especially ALAN Phillips from Race 1 who has helped with boats for our team now for the past 8 years. Other major supporters are the financial benefactors especially Bill Magennis, Steve Newnham and Phil Walker. Without contributions from these people and many others, the team could not come to Australia to prepare for the Asian Games in August of this year. The 4-week training in Orange allowed positive improvement for all athletes, with good weather for training, substantial food to support the training program and good equipment made available by the school. This year the team has also been able to access protein from True Protein organised by Ms Hanh the head of rowing in Vietnam and funded by the province of each rower. We thank Justin and Jess from this company for their assistance and the discount price they offered to enable us to get sufficient material to support the rowers up to the Asian Games in August. The racing in Sydney showed the benefits of the protein with none of the rowers fading in there performance at the 1200 meter mark which has been a major problem for the team in the past. In the Under 21 LW1X where the gold medal was won by Ms Thao, she came from 6th at the 500mtr mark and 6 seconds behind, to 4th at the 1000mtr mark and 5 seconds behind, to 2 nd and 2 seconds behind at the 1500 meter mark . In the last 500 mtrs she moved through the early leaders and the semi-final winner from Sydney University to win the race by 2 seconds. The results this year in Australia were the best we have ever achieved and the results are the outcome of the comments above. The team won 1 gold medal and 1 bronze medal and performed very well in every race. Unfortunately, there was a big storm on Saturday afternoon causing the sprint race to be cancelled. Unfortunately for Vietnam, that was also a race where I feel that our W4X would have won a 3 rd medal. Overall the races contested, we made 4 A finals winning the Gold medal in the Under 21LW1X and a Bronze medal in the LW4X . We also made 3 B finals winning the W1X and the LW1X by considerable margins and in times that would have placed them 7th in the A finals. Now the team will continue its preparation for the Asian Games competing in Asian Cup 1 in Singapore in April and Asia Cup 2 in Korea in June. Thank you again to all of the benefactors around the world that support our team and I hope that we can now deliver our best results ever at the Asian Games in Indonesia in August. Sydney University Boat Club as winner of the 2017 Australian University Games will host the 2018 Tran Tasman competition against New Zealand Universities. This tour will be at the beginning of July. In addittion we will have men's and women's eights attending the major China International Universities Rowing Regatta in mid-late July and a men's and women's fours attending the DGIST World University Rowing Festival in Daegu Korea from 20-26th August. The Sydney Uni Wmen's Four and the Harvard Men's Four after winning the mixed eight at the 2017 DGIST World University Rowing Festival in Daegu , Korea. Now that the Nationals are over for 2018 we can update our story on our Masters and Alumni who assisted at the Championships as volys (volunteers). While our rowers were heading the medal table and our coaches were wrestling with duties in the boat park and on the cycle track the masters toiled away behind the scenes. In addition to the volunteers listed below Susie Edwards - an alumnus and social masters cox also joined the SUBC contingent and Lizzi Chapman (The Tikki Fullerton of Rowing) as usual provided wonderful commentary during the regatta for both racing and presentations. A group of Boat Club masters and alumni have graciously volunteered to assist at the 2018 Australian Rowing Championships starting this Monday 19th March at the Sydney International Regatta Centre. Hundreds of volunteers doing jobs ranging from race officials, timekeepers, judges, weight stewards, managing bow numbers, assisting with presentations and athlete welfare help the event run smoothly for the thousands of competitors. This year Annabel Childs, Stephanie O'Malley, Gillian O'Malley, Anne Titterton and Phil Titterton (both SUBC Blues) and alumnus Katie Kershaw will be covering the above range of tasks during the regatta. There will be others - who we will acknowledge later in the week - but one who deserves a special mention is 1966 Blue in Lightweight Rowing, Phil Titterton. Phil has been one of the main regatta infrastructure volunteers over many years at both News South Wales and Australian Rowing Championships. Phil has also given his time over a long period coaching masters women at SUBC and organising and rowing in masters crews at Mosman Rowing Club. Phil has been acknowledged by Rowing NSW in past years as Volunteer of the Year. 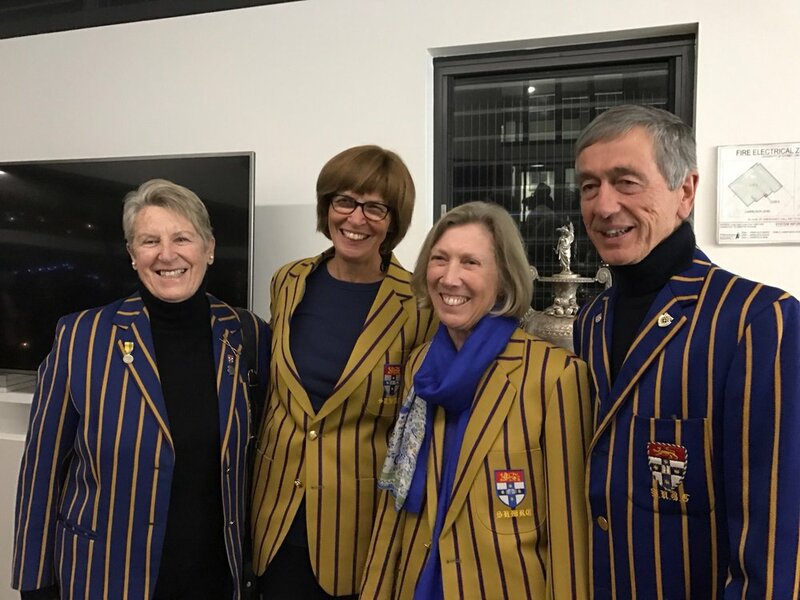 At the Thyne Reid Boathouse, last Saturday 10th March a new rowing scholarship was named after long-term Sydney Uni Women's Rowing Club's former President, Jane Spring. The speech recognizing Jane's achievements below was delivered by Boat Club Blue, Anne Titterton. "On behalf of SUBC it is my pleasure to speak about Jane as we recognize her remarkable contribution to rowing and to the University by naming a perpetual scholarship in her honour. We warmly welcome a number of Jane’s family who are here today to share this special occasion, as well as her many friends. "Jane Spring is a woman of significance and substance in the history of rowing at Sydney University and, more broadly, through her contribution to sports administration both at University and State levels. Remarkably, she follows a great family tradition of contribution to the University. Her grandfather, Sir Frederick Deer was a Fellow of Senate for 24 years and received an Honorary Doctorate in recognition of his service. Fortunately for SUBC, and the former Sydney University Women’s Rowing Club, we have been the beneficiary of her remarkable vision, her capacity for big picture thinking, her energy and commitment. Her determination and resourcefulness when faced with a challenge are the stuff of legends. Jane found rowing relatively late in her time at University. By 1986 Jane was hooked and went to Intervarsity as a single sculler – coached by the legendary Olympic and national coach Maurie Grace. In the same year, she was elected President of the Women’s Rowing Club – the journey we celebrate today had begun! 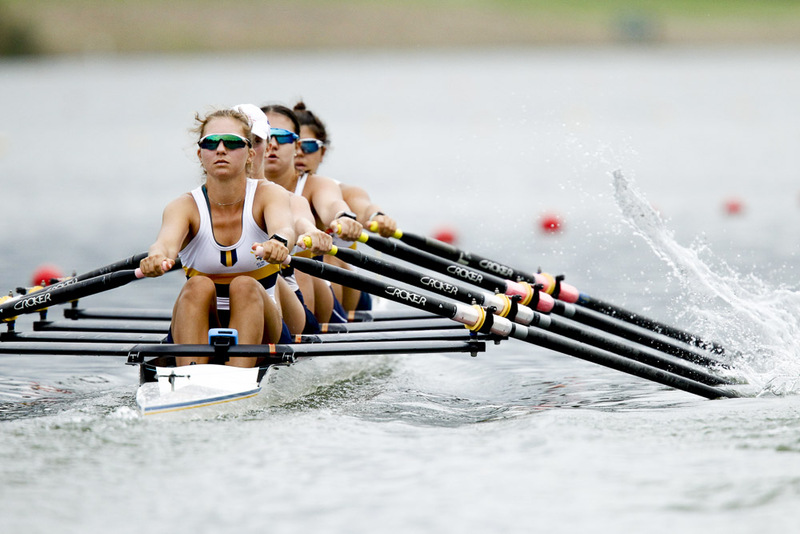 In 1986 the Women’s Rowing Club owned four boats: a pair, two fours and a speedboat. The Club existed on several racks in the former A frame men’s shed here at Linley Point and annual club funding from the Women’s Sports Association was $1,250. Coaches were volunteers, fundraising was basic and we were still waiting for someone like Jane to work out how to gain tax deductibility for donations! It was from this very low base that she set to work! Not one to shy away from a challenge, Jane finished Law, worked full time, was admitted as a Solicitor, poured energy into building the club and set her sights on gaining national selection as a lightweight rower. Along the way she found the time to contribute to the Women’s Sports Association as Vice President, as well as sitting on many University sport committees – including the Blues Committee, Building & Grounds and Finance Committees of the Sports Association. Returning from a regatta in Taree in 1990, Jane was catastrophically injured in a car accident. The accident took place a week after Jane won the Australian lightweight double scull and had been on track to represent Australia in the World Championships later in the year. Jane would say that rowing saved her life. She drew strength and purpose from the people around her, particularly her former coach and now husband, Murray Clarke, family and close friends. 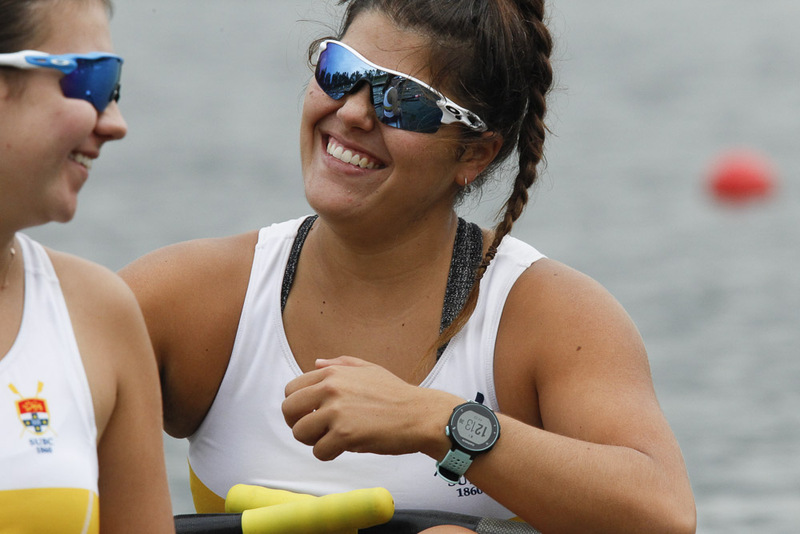 At this time, her involvement in rowing brought other friendships and new directions. In 1994 an opportunity arose to buy the former Glebe Rowing Shed. With her father, Ian Spring’s, help, then Chancellor Dame Leonie Kramer was convinced to lend the Women’s Sports Association the funds to buy the Glebe shed and to provide room for the Women’s Rowing Club to expand. Jane came to know Dame Leonie well over the years and treasured this friendship. John Coates had supported Jane, too, as mentor and referee following the car accident. Six years working at SOCOG taught Jane a great deal about what was required to create the optimal environment for elite athlete performance and gave her the opportunity to learn leadership and management skills essential for the rowing club and for her career. With the boathouse at Glebe the Women’s Rowing Club was able to rapidly expand and in the first season won the NSW Premiership point-score for the University – the first time since 1910. Masters were invited to join the Club and there was at last room for a large novice program. Jane also mentored many students, creating a healthy and inclusive culture and always with good governance. She coached many rowers and was adept at recognizing and catering for emerging talent such as Brooke Pratley, who retired with a Silver Medal after the London Olympic Games. As a Rowing Delegate for Australian University sport she worked with husband Murray Clarke to get the Trans Tasman races with New Zealand established – giving students much needed international racing experience. Jane also contributed to NSW rowing – participating actively to protect rowing safety on Sydney Harbour. She worked on the master plans for Blackwattle and Rozelle Bays and became an effective advocate for rowing, working closely with the Glebe Society and other community and business groups. Never shy to put out a press release, Jane actively campaigned against the Dry Boat Store in Rozelle Bay including holding a “Mass Row Protest’. She was appointed a member of the Community Reference Group for the Bays Precinct set up by Planning Minister, Kristina Keneally, in 2009 and joined activists from Balmain, Rozelle and Glebe, successfully making the protection of rowing and other forms of passive recreation a central platform of the group’s response to government. In 2009 Jane was asked whether she might consider running for Senate of the University. During her time on Senate, she championed the value of the student experience. Notably, she was also a member of the Nominations and Appointments Committee and was honoured to be part of the process that resulted in the election of our wonderful Chancellor, Belinda Hutchinson. Jane was also involved with the work the University did to fund and develop this boathouse, as part of the Building & Estates Committee. Jane has a Service Award, a Blue for Rowing, was Sportswoman of the Year in 1990, a Gold Award and is an Honorary Life member of the Boat Club and both Sydney University Sport and the University of Sydney Union and was awarded the Australian Sports Medal in 2000. Jane has also been awarded the Rusty Robertson Award by NSW Rowing and was presented with a NSW Government Community Service Award. And now, nearly three decades later, Jane’s life has been inextricably woven through the fabric of women’s rowing at this university, and most fittingly now into a vibrant, dynamic amalgamated Sydney University Boat Club. Thankyou, Jane, for all that you have done." Andrew Judge is congratulated by Jane Spring.